Grab Your Putter and Head to the Holes! 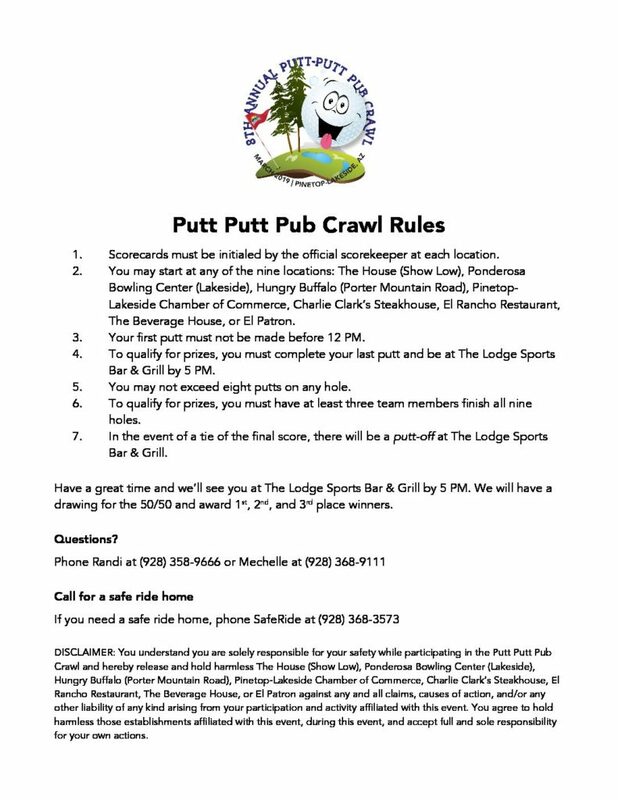 The Putt Putt Pub Crawl consists of nine stops (or holes) at local bars and eateries. At each stop, you and three team members will give it your best and—with any luck—use a golf putter to achieve a hole in one! 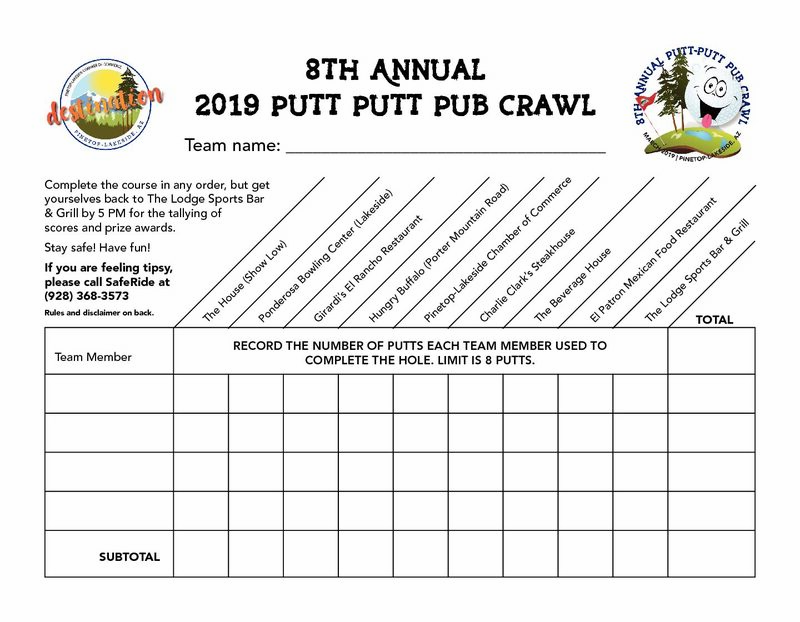 Your actual number of putts is recorded by the official scorekeeper, and the team with the best overall low score will take home the first prize cash award and trophy. Second and third place trophies and cash are also awarded. You may start at any location you choose, so long as you stop at all holes, and make your way to The Lodge Sports Bar & Grill by 5 o’clock for tally and awards. Drink and food specials are typically offered at each stop. 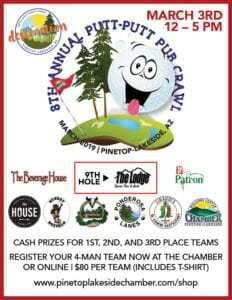 The Pinetop-Lakeside Chamber of Commerce brings the pub crawl to the White Mountain in March of each year. To join this year’s fun, click now to purchase team tickets. 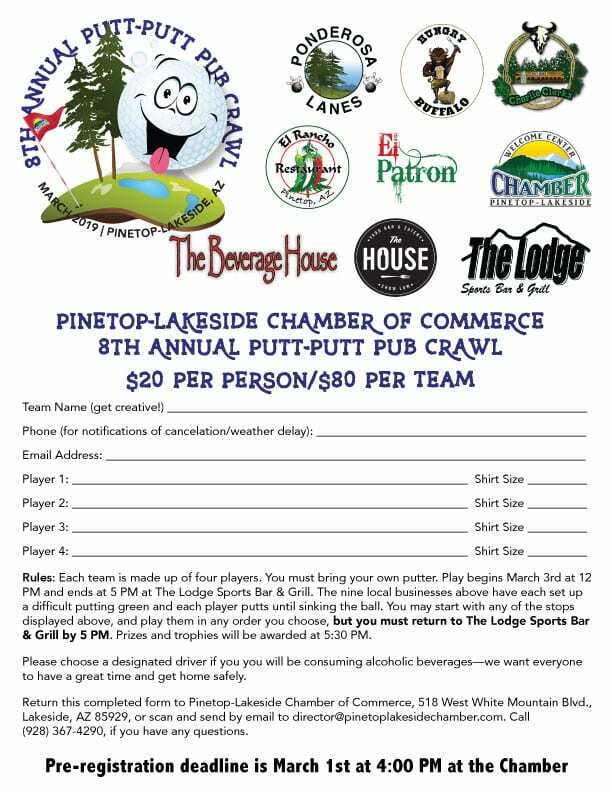 You may pick up your T-shirts, scorecard, and rules at the chamber after noon on Friday, March 1st or at 11 AM at the chamber on March 3rd. Please call (928) 367-4290 to ensure they have arrived before stopping by. You may also print the scorecard and rules to the right.